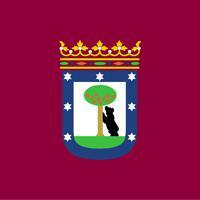 Provincia de Madrid (province). It has a population about 6,489,680 inhabitants, the area is about 8,022.00 km², its density is 795.61, its unemployment rate is 21.03, its coastline length is 0 , its number of municipalities is 179 , its average altitude is 817 , its autonomous community is Comunidad de Madrid, its number of unemployed is 416,659 , the average house price is 2,006.20. There is information in Classora Knowledge Base about 10 rankings, reports and surveys.